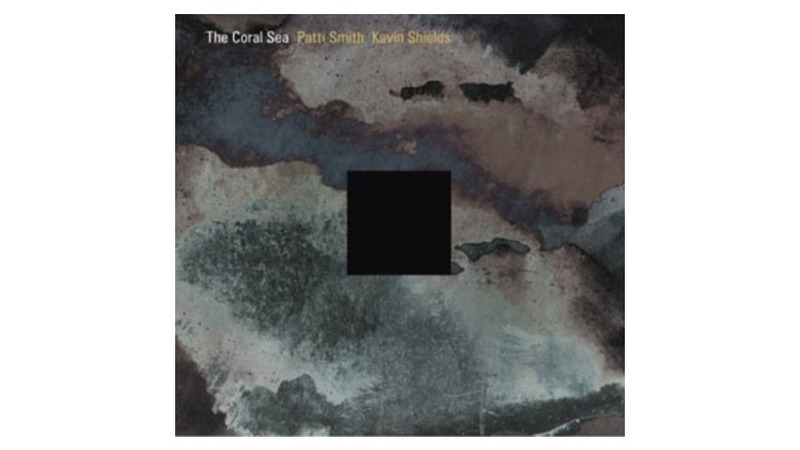 An intense poetic encomium geared for Smith’s more adventurous fans The mere premise of punk priestess Patti Smith and My Bloody Valentine’s erratic genius Kevin Shields collaborating is itself electrifying, and the fact that it captures a raw corner of Smith’s psyche urges closer inspection. Conceived as a eulogy to close friend Robert Mapplethorpe and imagining the inner space of his final voyage to see the Southern Cross, The Coral Sea is a giant Smith poem punctuated by Shields’ soundscapes. While the long and occasionally overwrought exposition is not for everyone, the intensity and untangled abandon of Smith’s performances will galvanize more loyal fans seeking yet another cathartic acid bath in her emotional storms. The set is comprised of two live concert recordings from Smith and Shields’ performances at London’s Queen Elizabeth Hall in 2005 and 2006. In the 2005 performance, Shields leaves larger open spaces and Smith’s recitation frequently feels more loving and serene, punctuated with near-sobs and a more naturalistic flow. Shields’ swells on the later show are more ominous and omnipresent, and Smith’s heaviest howls exude a sharper rage at the face of death. The choice to include both looks is perhaps a testament to the subject’s multidimensionality, even if the premise of listening to them both in succession is more than a bit overwhelming. Still, the courage and passion of the performances shine through.